Whether you’re someone who wants to wind down at night with a short story, fill the empty moments with a bit of poetry, or allow yourself to get swept into a novel that illuminates the past and delves deep into our present cultural realities, you’re sure to find something here that challenges, inspires, and entertains. Click here for discussion questions for book clubs. 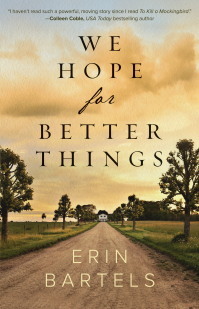 Click here for praise and reviews of We Hope for Better Things. Robin Windsor has spent most of her life under an assumed name, running from her family’s ignominious past. She thought she’d finally found sanctuary in her rather unremarkable used bookstore just up the street from the marina in River City, Michigan. But the store is struggling and the past is hot on her heels. When she receives an eerily familiar book in the mail on the morning of her father’s scheduled execution, Robin is thrown back to the long-lost summer she met Peter Flynt, the perfect boy who ruined everything. That book—a first edition Catcher in the Rye—is soon followed by the other books she shared with Peter nearly twenty years ago, with one arriving in the mail each day. But why would Peter be making contact after all these years? And why does she have a sinking feeling that she’s about to be exposed all over again? With evocative prose that recalls the classic novels we love, Erin Bartels pens a story that shows that words—the ones we say, the ones we read, and the ones we write—have more power than we imagine. In twelve engaging stories, the joys and sorrows of life glow against such varied backdrops as a snowy wood, a quaint country inn, a crumbling metropolis, the shore of Lake Superior, and a lonely country highway. A man in the twilight of his career falls in love with a young woman at the dawn of hers. A girl at the end of her rope finds an unexpected friend in an eccentric stranger. An artist takes stock of his life’s work and discovers an unwelcome truth. With prose that evokes wonder and fear, regret and relief, Erin Bartels draws meaning from the small moments of life, challenging us to be still, to notice, to dream—and to hope. Poems for spring, summer, fall, and winter. 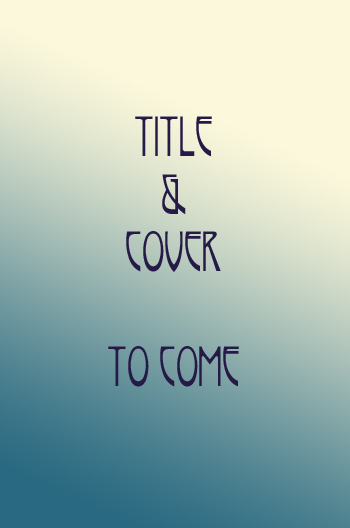 More details coming…eventually.